Home/Resources/Eaters and Buyers, Farmers and Gardeners/2014 Farmers Market Season is Upon Us! Many farmers markets around the state have already opened, and many more will open in the coming weeks. We’ve compiled the following list of our members’ favorite farmers markets around the state and their 2014 opening days — find one near you! 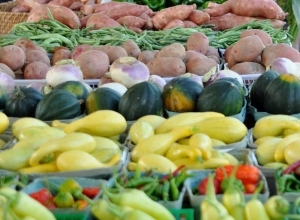 Do you have a favorite Alabama farmers market that’s not listed here? Let us know!